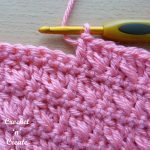 Crochet Mesh Stitch Tutorial – A simple crochet stitch pattern that consists of single crochet and one chain. 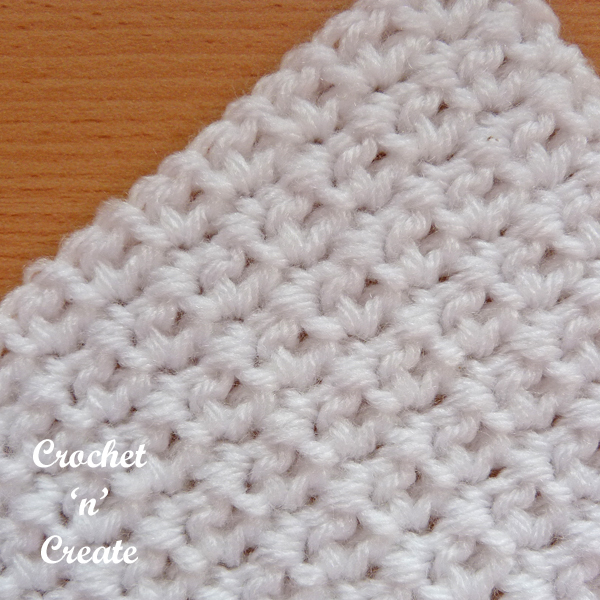 Learn how to crochet this stitch with my step by step tutorial, use for hats, blankets, baby coats and lots more. 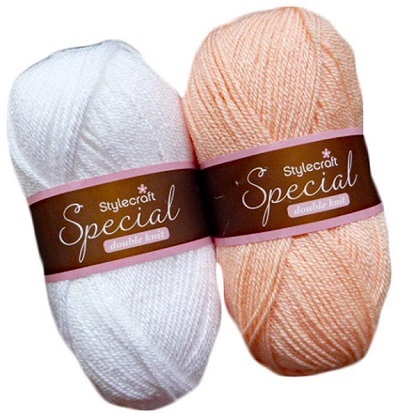 Substitute yarn would be Lion Brand Baby Soft. 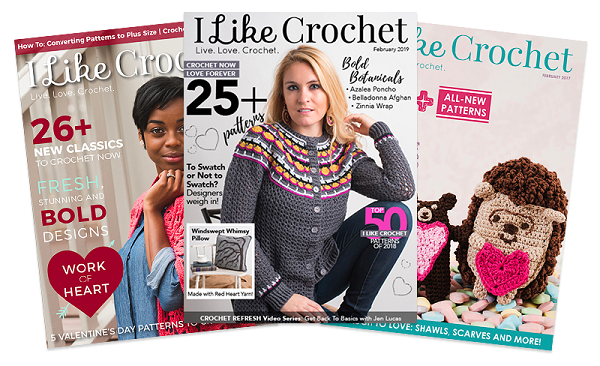 If you would prefer to skip my pictures and print the crochet mesh stitch tutorial, scroll down the page to the PRINT icon at the bottom of the post. 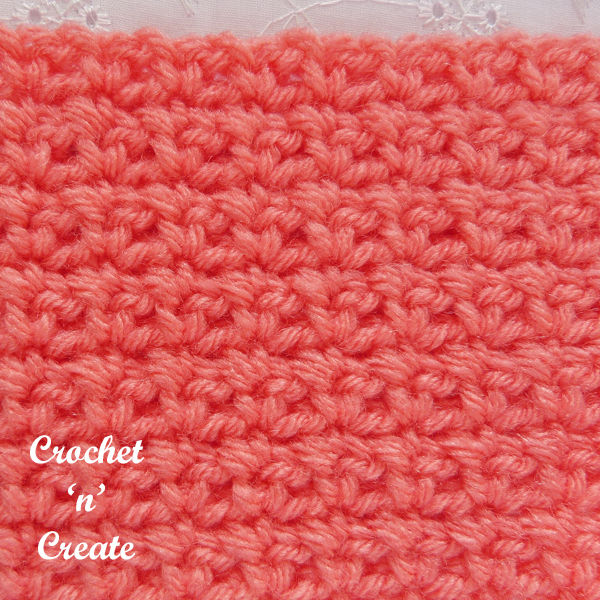 See more of my free crochet stitch tutorials. Make a chain length in multiples of 2. 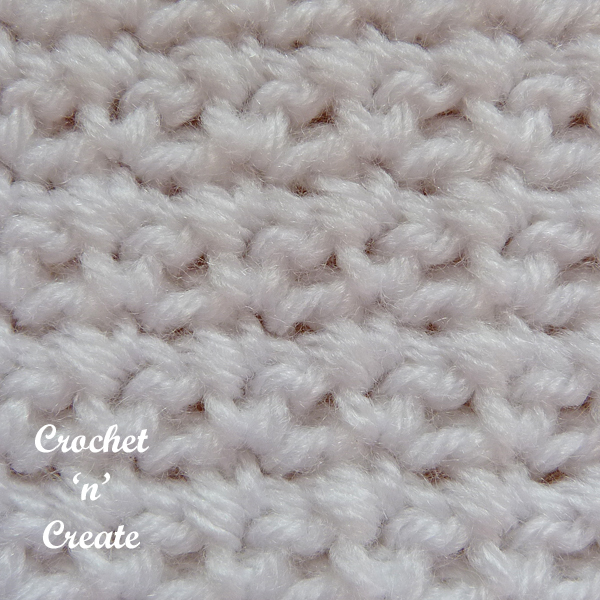 1st Row – Work 1sc in 2nd chain from hook, * ch1, skip 1ch, 1sc in next ch, * rpt from * to * to end. Turn. 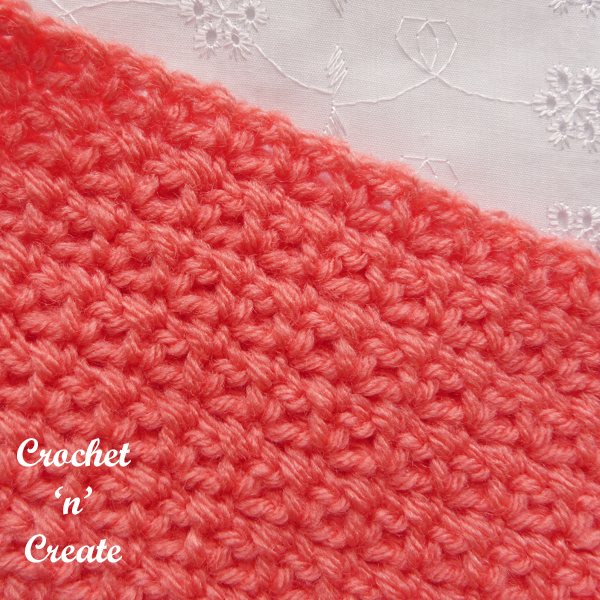 2nd Row – ch1, 1sc in base of ch1, * ch1, skip ch1, 1sc in sc, * rpt from * to * to end. Turn. 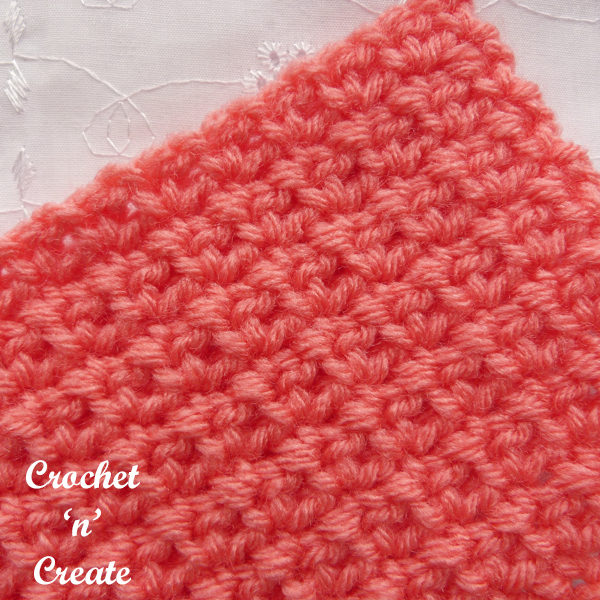 Rpt 2nd Row until desired length. 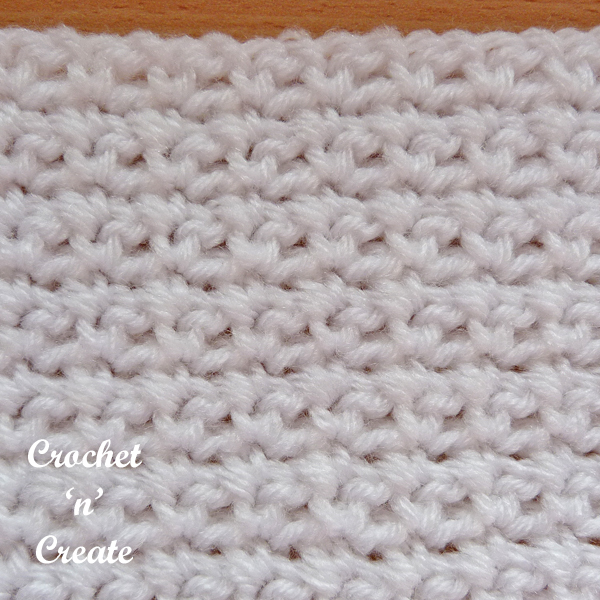 1st Row – Work 1dc into 2nd chain from hook, * make 1ch, miss 1ch, 1dc into next ch, * rpt from * to * to end. Turn. 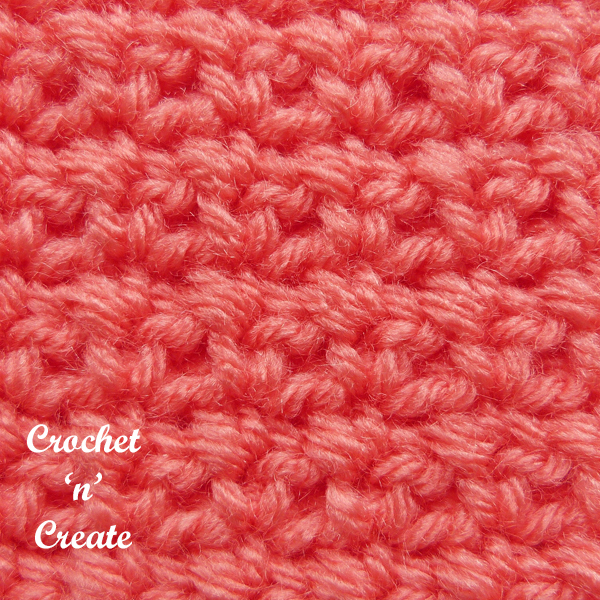 2nd Row – 1ch, 1dc into base of 1ch, * make 1ch, miss 1ch, 1dc into dc, * rpt from * to * to end. Turn. 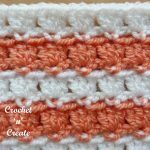 The written instructions and the pictures for the free crochet mesh stitch tutorial are copyrighted to crochet ‘n’ create © 2019. 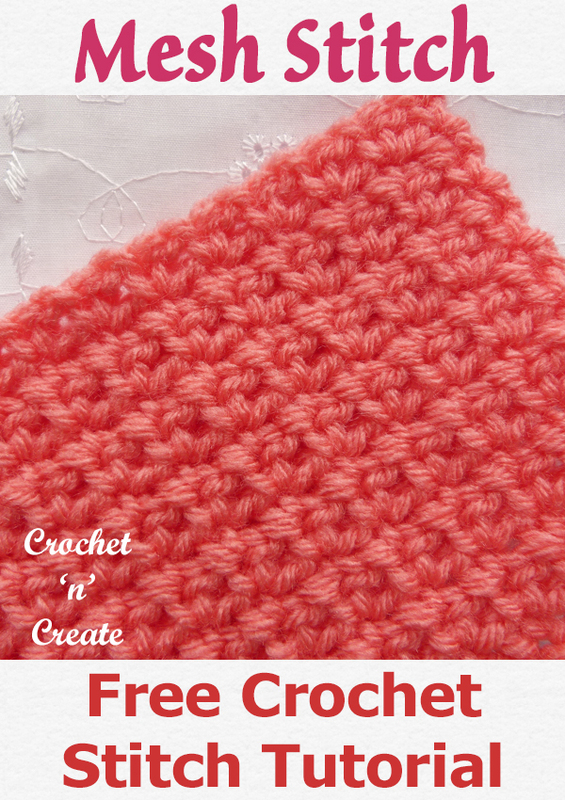 You are welcome to sell any of your finished products made from the free crochet mesh stitch tutorial, I just ask that you please use your own pictures and put a link back to crochet ‘n’ create. 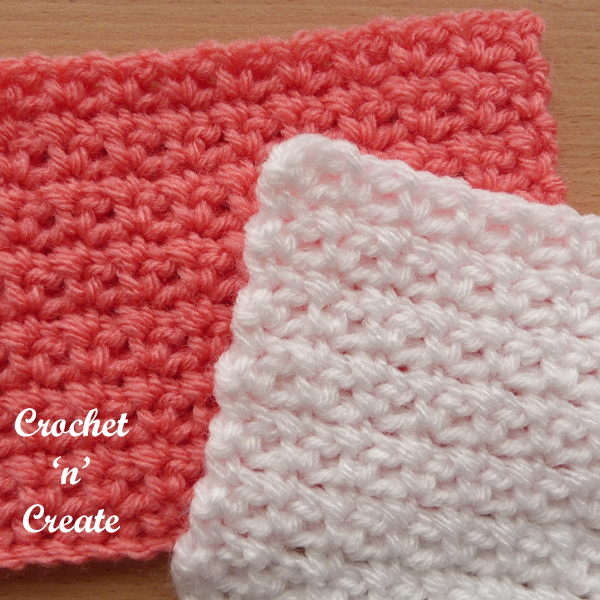 If you wish to tell your friends and followers about the free crochet mesh stitch tutorial, please can you only use the direct link to the page on crochet ‘n’ create. DO NOT share any of the pictures or written instructions in this post. 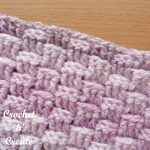 This entry was posted in Crochet Stitches, crochet tutorial and tagged crochet, crochet stitches, crochet tutorial, How too on 7th February 2019 by crochetncreate.